Corporate bookings to European ski resorts are experiencing an upsurge thanks to a boost in staff incentives, according to Powder White. The ski specialist has experienced a 300% hike in enquiries this season compared with last, adding that hotel reservations have increased on average by £20,000 per booking; although it noted that budgetary pressures were a consideration. 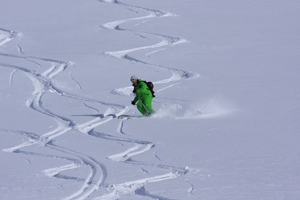 Fraser Ewart-White, co-founder of Powder White, said: "The enquiries we are receiving – from both event organisers and from companies direct – are for a flexible, value tailor-made experience, taking advantage of our ability to provide a one-stop shop for every aspect of the ski experience. "Budget is certainly a consideration with an emphasis on quality, authentic and innovative experiences rather than out-and-out luxury."